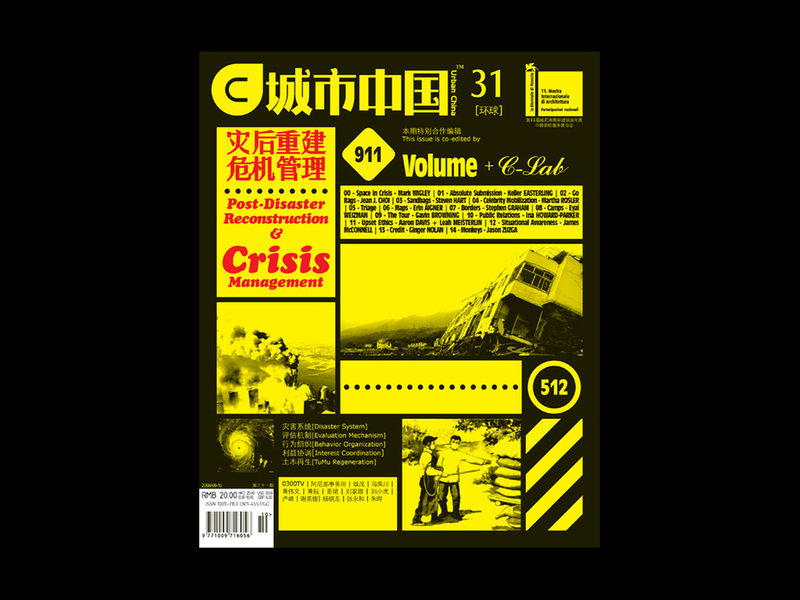 Conceptual and editorial development of 26-page section within magazine on urban crisis management, featuring contributions by Candy Chang, Keller Easterling, Stephen Graham, Martha Rosler, Eyal Weizman, anecdotes on Go Bags, monkeys in Indian cities, and triage tags, and a short history of sandbags. Displayed in the touring exhibition Urban China: Informal Cities at New Museum, Hammer Museum, and Museum of Contemporary Art Chicago. Chinese with English translation.